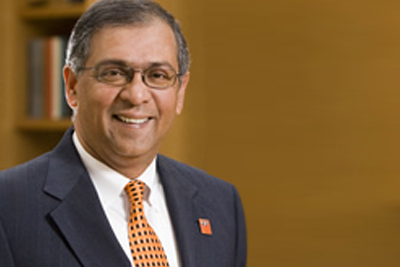 Goutam Chakraborty is professor of marketing at the Oklahoma State University Spear School of Business. He regularly travels to Italy to teach CIMBA MBA and Executive Certificate students whom he calls “motivated and diverse.” “My CIMBA students come from many different universities in the U.S. Italy, and around the world.” Chakraborty says CIMBA’s MBA allows students to complete their degree in less than a year while gaining a higher level of hands-on, experiential learning. “I think CIMBA MBA students are somewhat more adventurous, because it’s not always easy to pack your bag and go to another country. These are students who are willing to give up their job to pursue their dreams.” Chakraborty teaches Contemporary Topics in Marketing: Strategic Digital and Service Business Management in the MBA program and International Marketing for the Executive program.